Heavy rain and gusting winds are battering part of America's east coast as Hurricane Florence edges closer. 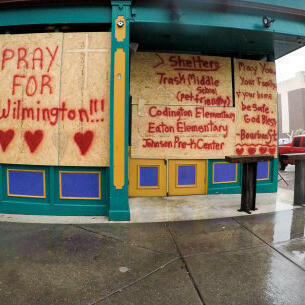 North and South Carolina are bearing the brunt, with as many as 10 million people in a potential disaster area. Veronica Morton is originally from Hamilton but lives in the city of Wilmington. She's been speaking to Heart's Rebecca Cook.